Do volunteer managers possess the skills required to succeed in the corporate world? I recently had the pleasure of interviewing Sally Garrett, a recent leader of volunteers who has taken a managerial position in the world of retail. Sally was the manager of a St. Vincent de Paul depot, an Australian branded “Vinnies” retail thrift store, the highest grossing and net profit store in Western Australia while under her leadership. VPT (volunteerplaintalk): Can you briefly describe your current job? S (Sally): My Current job is as a Retail Manager of a lifestyle super store with 26 paid staff. VPT: How long have you been in this position? S: I have been here 1 month. VPT: Before this position, what was your job as a volunteer manager? S: I ran a large not for profit processing and pick up depot and retail outlet. VPT: How long were you in that position? S: Two and a half years. VPT: What skills do you feel you developed as a volunteer manager and how did they translate to the position you now have? S: The biggest skills I developed are empathy, patience, organizing people, time management and being able to teach others that they are more than they believe they are. VPT: What skills helped you the most in moving into your new position? S: I guess because I had been rostering and managing large volumes of people all doing small roles, the biggest skill that has helped me in my new role is patience. You can’t rush volunteers and you develop a skill of being able to step back and look at the bigger picture all the time, so it became a habit to stop, look and listen. This has helped so much in my present job, because as I have a lot to learn, I am not at all overwhelmed. I am much more rounded in my approach to my team and I listen a lot more and act less, but it’s action with conviction. This means when I do act, it is for the long-term and not the short-term. I have already found that many people can sort out problems for themselves and become self autonomous rather than needy. I can quickly detect when people are good at what they do or need better training because I’m watching them and listening. I’m not trying to learn their job so much anymore, but placing acknowledgment in what they can do. This has made my new team feel more confident and then their skills began to shine. The second skill is having learned to not take credit for what others do, but rather celebrate their gifts and achievements. I don’t feel the need to own others’ successes. I have developed the ability to lead, not manage. The third, most important skill is that I don’t take anything personal. I am impartial to people because I know it is about them not me, and every action someone takes says things about them, not me. So, if someone is frustrated they may call me names or tell me I am not doing my job but this translates into the fact that they are telling me they need more training and are feeling overwhelmed or vulnerable. This took a long time to learn. I always thought I was doing things wrong in this situation until a volunteer pointed out to me that the other 120 people loved what I did and felt supported, so once this skill kicked in it just meant going back to basics and taking time for a cuppa and a chat and getting to the real problem which was 100% of the time the person left feeling vulnerable for some other reason. VPT: When you accepted this new position, did you find that your volunteer management experience helped you get the job? Any actual feedback from your new supervisor on your volunteer management experience? S: When interviewing for the position I applied for, I was calm and confident as I knew I had become a leader and not a manager so the interview process was easy and effortless. I had nothing to prove; they either wanted my skill set or they didn’t. If I wasn’t a good fit, I didn’t want to be there. I was asked to take on a much larger role than I applied for in the interview; the position was in another shop as they felt I would be of value in that role with a larger team and a busier store. As it turns out I came across as soft and compassionate but with a deep knowledge of people. This is what progressive organizations want. They don’t want bosses anymore, they want team leaders and that’s what you are as a volunteer manager. 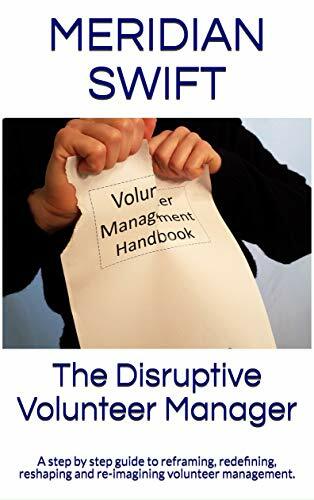 VPT: Are there skills that volunteer managers lack, or do not realize are important if they are seeking jobs other than in the world of volunteerism? I believe a volunteer manager is much more qualified at team leadership than anyone gives them credit for, including themselves. 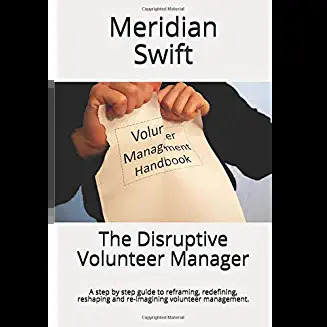 It is a huge task being a volunteer manager and when in the role it doesn’t feel it is that important, but you touch the very core of people when they are a volunteer. Because they aren’t there for money, you find out more of what makes people tick so translating that to paid staff roles, you are able to make your staff really feel cared for when they come to work. You have developed an ability to shut the work-space out and make eye contact and listen to them and answer their questions. whether it be personal or work related. You have developed the ability to validate people, and that’s what our world needs more of. You are also able to adapt quickly because volunteer management deals with absences regularly. You know how to get work done with few, if any help. Acknowledging the confidence that you know it will get done when the team is there, gives you a calmness and that drives people to help more and work harder. People love that you are in control and that you appreciate their efforts rather than stressing and then making them feel less when they are giving more. All volunteer managers develop this skill. VPT: How can volunteer managers prepare themselves to enter the world of corporate management? S: Be the very best version of yourself, it’s really that simple; being authentic and not promising things you can’t deliver, the rest falls into place. When you develop the calmness of self-confidence, you can learn anything; the skill of managing people is the highest of all skills you need in life and work and you have that in the bag once you are a successful volunteer manager. VPT: Is there any advice you would like to give your fellow volunteer managers? S: Give them (volunteers) 15 minutes undivided attention and induct, induct, induct! Make sure when your volunteers start, you have given them your time whether it is 15 minutes at the start or the whole induction if you can, that time is what the volunteer remembers, because volunteers revere you; they know how hard your job is and they see you as their guiding light. If you only knew how powerful you are you wouldn’t worry about a thing. But that’s where volunteer managers are the most successful. We don’t settle for second best because it always has to be the best. Aiming for the stars on every task is what we do. Landing on the moon is not good enough for us, but it’s great to everyone else. Know you are saving lives! There is a high number of volunteers that are volunteering due to mental illness preventing them from holding down a paying job. Know that you are potentially providing the healthy, stable and compassionate environment that these people need to gain new skills and give their life purpose. It surprised me to be told on three occasions that it was because of me, personally that three people got up and tried again another day rather than ending their lives. It both shocked me and made me seek help myself to understand my role more fully. The knowledge of each person over my time in Volunteer Management truly made me see how I changed lives and how powerful and responsible my role was and how important it was to be transparent in all I did. I had to understand that it wasn’t my responsibility to take this knowledge on board personally and that it was only a part of the role. But the knowledge was confronting and it changed my dealings with people. Compassion isn’t being weak, it is the exact opposite. Relax more and stress less, develop the ability to tell people they can do it on their own. Softly, gently encouraging and convincing people they are wonderful and able, is the greatest skill ever. It is the most productive management tool in the workplace. What incredibly inspiring words for leaders of volunteers. Thank you Sally for sharing your wisdom and experience with us. All the best to you in your new position. They are very fortunate to have you on board. So, the next time all of you volunteer managers feel under appreciated, remember these words from Sally: I was asked to take on a much larger role than I applied for in the interview; the position was in another shop as they felt I would be of value in that role with a larger team and a busier store. Hurrah!! I’ve long thought VMs could teach bosses a thing or two about leading paid staff. Sally has told it like it is, and thank you Meridian for bringing it to the light. And a thank you too, to the volunteers who taught me how to lead. Thank you Sue! Sally’s story is inspiring and for me, really cements everything I’ve known for a long long time. Volunteer managers develop the incredible skills needed to lead groups of people. Her story is encouraging.